Lara’s practice involves work across all areas of criminal defence. She represents clients in the magistrates’ courts and in the Crown Court and has experience of dealing with vulnerable individuals. Prior to starting her career at the bar, Lara worked for the Prisoners’ Advice Service where she was responsible for advising clients on issues such as parole, categorisation, adjudications and appeals to the Prisons and Probation Ombudsman. 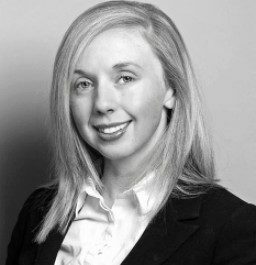 Lara also gained extensive experience as a County Court Advocate on the South Eastern circuit, appearing on behalf of litigants in over 1,650 hearings in the County Courts, the High Court, and in the Leasehold Valuation Tribunal. She was instructed by numerous firms of solicitors to deal with a broad spectrum of civil matters including case management hearings, residential and commercial landlord and tenant disputes, applications for summary judgment, bankruptcy proceedings, appeals and small claims trials. Lara provided legal assistance to individuals detained by the Immigration Service, taking instructions from clients at the Immigration Removal Centre and preparing Letters of Advice. She was ratified by the Free Representation Unit to represent clients in the Employment Tribunal and trained at the National Centre for Domestic Violence, where she handled sensitive cases involving victims of abuse.